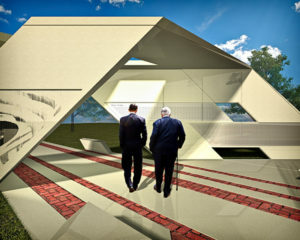 The Tilt-Up Concrete Association (TCA) – a non-profit international organization that serves to expand and improve the use of Tilt-Up as the preferred construction method – along with the Kansas City, Missouri Parks and Recreation Department and the Concrete Promotional Group of Kansas City is very proud to be spearheading the design and construction of the Missouri Korean War Veterans Memorial. Developed by the TCA to encourage member companies and organizations of the Annual Convention’s host city to give back to the community, work is being performed on the project leading up to the Convention being held in Kansas City, Mo. from Sept. 28 – Oct. 1. “Not only is this project a testament to the flexibility, applicability, and beauty of Tilt-Up construction, it is a demonstration of the generosity, pride and good will of our members,” said Mitch Bloomquist, project manager at TCA. With a mission to perpetuate the legacy of Korean War Veterans present and past, the memorial is prominently sited in historic Washington Square Park near Union Station in Kansas City. The memorial honors the more than 900 individuals from the State of Missouri who paid the supreme sacrifice and gave their lives in defense of South Korea. Constructed of interlocking Tilt-Up concrete panels, the twisting structure of the memorial provides shade and shelter while maintaining a significant amount of transparency and a relatively light appearance. The surface on the outside of the structure exposes the local aggregate present in the concrete mix, giving it an exceedingly finished appearance and pleasant texture. The subtle warm color of the material is in harmony with the surrounding park. Iconic images from the war are cast into the face of the concrete. Grooves of varying depths and widths affect light cast on the structure to reveal the dynamic images. Their appearance changes with the light and viewing angle presenting visitors a different experience with each visit. The interior surface of the memorial is highly polished and includes plaques with the names of the more than 900 veterans of the Korean War from the state of Missouri. The wrapping ribbon of concrete creates a sort of room affording visitors an intimate interaction with the names while remaining open to view from across the park. A series of staggered pavers with inscriptions intersect the structure softening the transition between hardscape and softscape by bringing vegetation into the structure and extending elements of the structure into the park. A dedication ceremony to be held in conjunction with the opening of the 2011 TCA Annual Convention will be held on September 28, 2011 at 4:00 p.m. in Washington Square Park. All Convention attendees are encouraged to attend this event which will immediately be followed by an outdoor exhibition and barbeque. More details regarding this celebration and the memorial will be available at www.tilt-up.org/convention. Washington Square Park is located one block west of the Hyatt Regency Crown Center. A shuttle will be available from the dedication ceremony to the outdoor exhibition site. TCA was founded in 1986 to improve the quality and acceptance of site cast Tilt-Up construction, a construction method in which concrete wall panels are cast on-site and tilted into place. 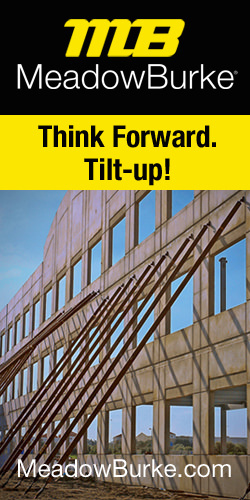 Tilt-Up construction is one of the fastest growing industries in the United States, combining the advantages of reasonable cost with low maintenance, durability, speed of construction and minimal capital investment. 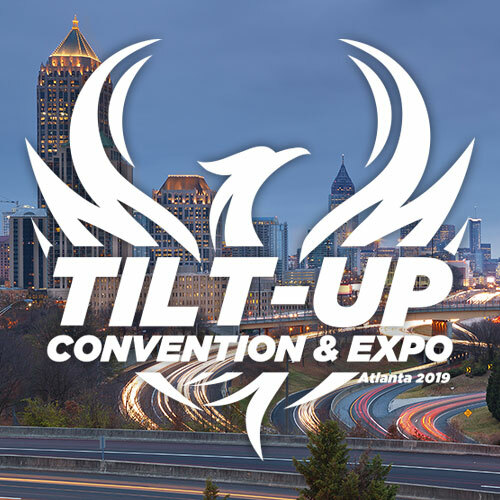 For more information about the TCA, visit www.tilt-up.org.